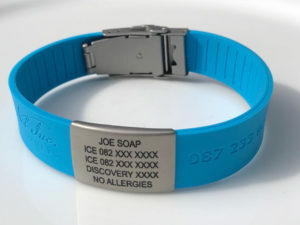 The ICE (In Case of Emergency) ID is an indispensable accessory for sportsmen and the population at large as it offers emergency and medical information if due to a traumatic or unforeseen event, you are unable to speak or disclose the information. 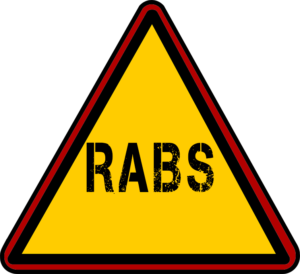 As specialists in the field of personal injury, we often encounter situations where clients are injured without their loved ones being informed, due to lack of information or a situation where a client was admitted at a Government Hospital despite being a member of a medical aid because the information was not available or on their person. 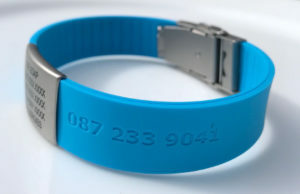 The ICE ID initiative addresses any such concerns and offers the wearer and their loved ones the peace of mind of having a “guardian angel” available at all times to speak when he/she cannot. 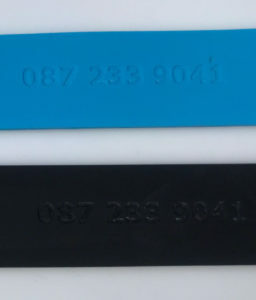 The Gert Nel Incorporated ICE ID has our call centre number embossed for ease of reference, in addition to our logo and the wearer’s personal and emergency information. 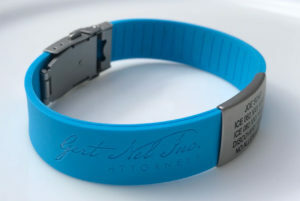 With the Gert Nel Incorporated ICE ID you are covered one hundred percent.